François Laruelle’s lifelong project of ‘nonphilosophy’, or ‘nonstandard philosophy’, thinks past the theoretical limits of Western philosophy to realize new relations between religion, science, politics, and art. 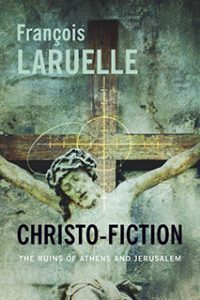 In Christo-Fiction Laruelle targets the rigid, self-sustaining arguments of metaphysics, rooted in Judaic and Greek thought, and the radical potential of Christ, whose ‘crossing’ disrupts their circular discourse. Laruelle’s Christ is not the authoritative figure conjured by academic theology, the Apostles, or the Catholic Church. He is the embodiment of generic man, founder of a science of humans, and the herald of a gnostic messianism that calls forth an immanent faith. Explicitly inserting quantum science into religion, Laruelle recasts the temporality of the cross, the entombment, and the resurrection, arguing that it is God who is sacrificed on the cross so equals in faith may be born. 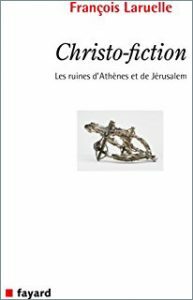 Positioning itself against orthodox religion and naive atheism alike, Christo-Fiction is a daring, heretical experiment that ties religion to the human experience and the lived world.